Opened in 2011, Loma Linda University Medical Center – Murrieta is a 106-bed faith-based, non-profit acute care hospital, owned and operated by Loma Linda University Health (LLUH). Loma Linda University Health is an academic medical center operating six hospitals, a physician practice corporation, remote clinics in the western United States, and affiliate organizations around the world. These medical services interact with the eight schools that make up our healthcare focused university. This mutual pursuit of excellence leads to outstanding care for our patients and great learning opportunities for our students. A Seventh-day Adventist institution, Loma Linda University Health is committed “to make man whole,” physically, intellectually, emotionally, and spiritually. Each day we seek to extend the teaching and healing ministry of Jesus Christ. More than 16,000 employees fulfill that mission through our nationally recognized quality healthcare delivery. Our internationally known researchers publish more than 500 peer-reviewed articles every year, uncovering new approaches to nutrition, cancer treatment, heart disease, neonatal development, stroke and brain trauma, and others. 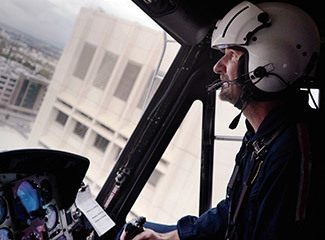 Loma Linda University Health treats more than 1.5 million outpatients every year, and serves as the only Level I trauma center for a region that covers more than 25 percent of the state of California. Patients come from around the world for our services, which include the world’s first proton unit used for cancer treatments. The groundbreaking efforts of Dr. Leonard Bailey led to the world’s very first infant heart transplants. Institutes of excellence bring together scientists, teachers and physicians, producing innovative approaches in areas including behavioral health, cancer, heart, perinatal service, rehabilitation, and transplant.